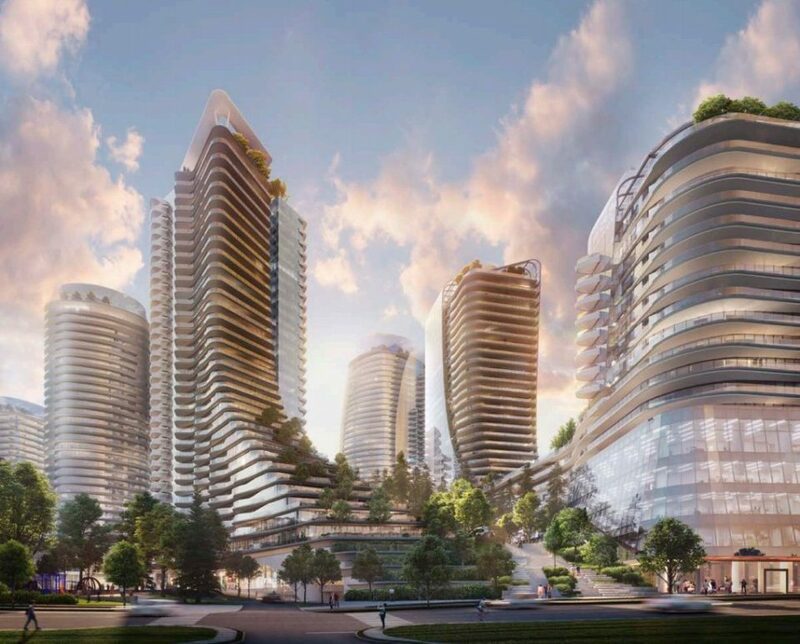 Westbank and Henriquez Partners Architects have submitted their development permit application for towers six and seven at Oakridge. 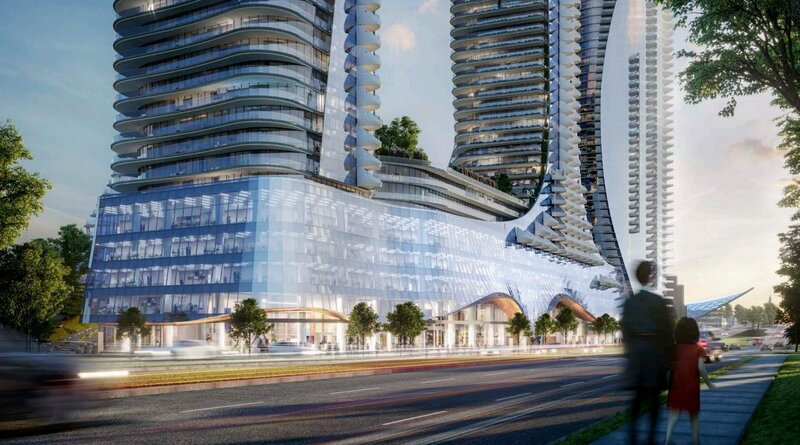 Plans call for two residential towers, one 32-storey tower (building six) and one 17-storey tower (building seven). 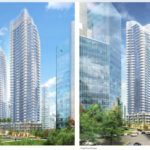 In total, the two towers will include 615 residential units. 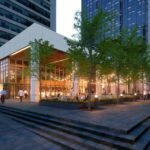 Both towers will sit atop one podium featuring retail and office space. 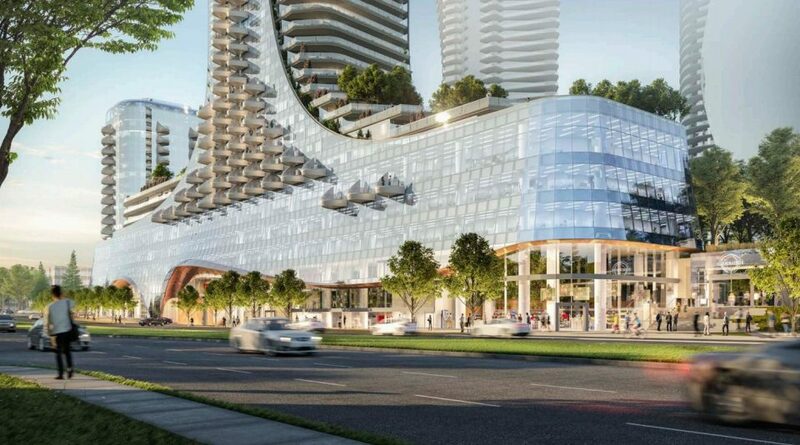 There will be three levels of underground parking. 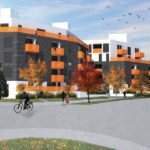 A grocery and liquor store is planned below grade, adjacent to the parking. 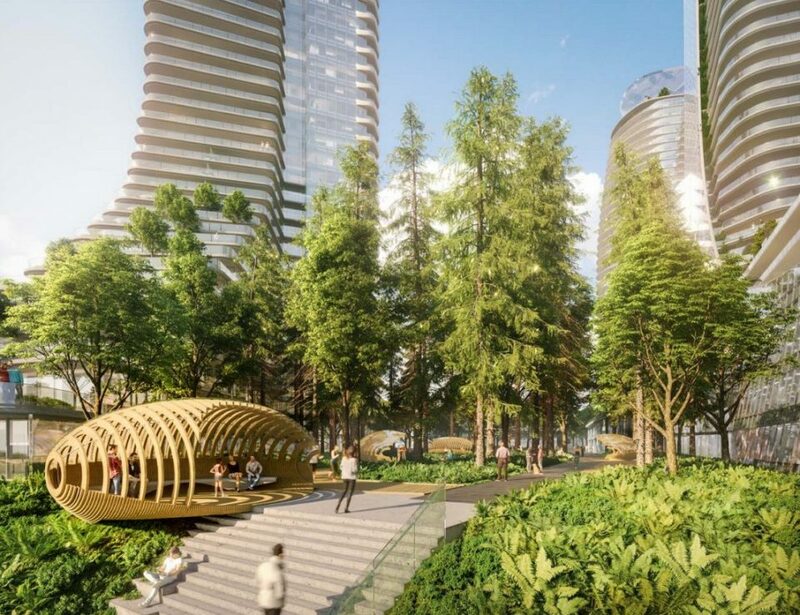 The phase also includes the development of a portion of the future 9-acre park slated for Oakridge. 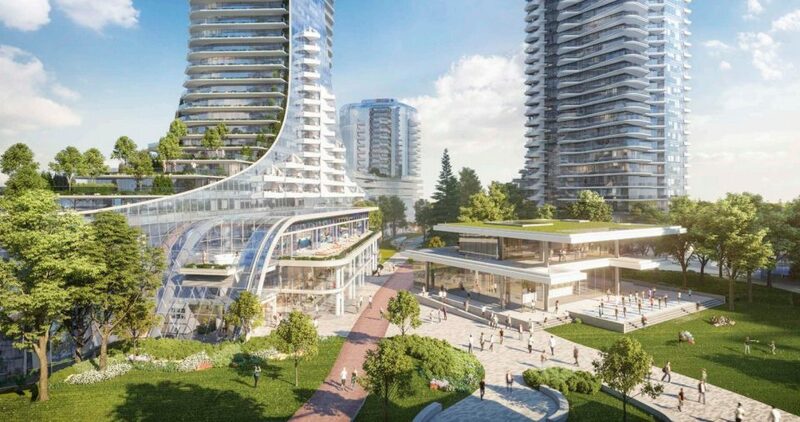 A two-storey retail building is also planned as part of the park. 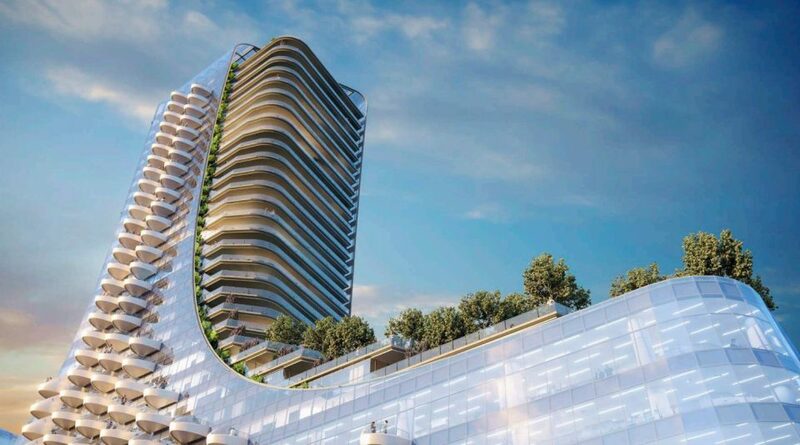 Language in the design rationale is unrestrained. 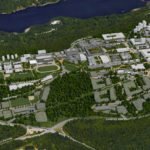 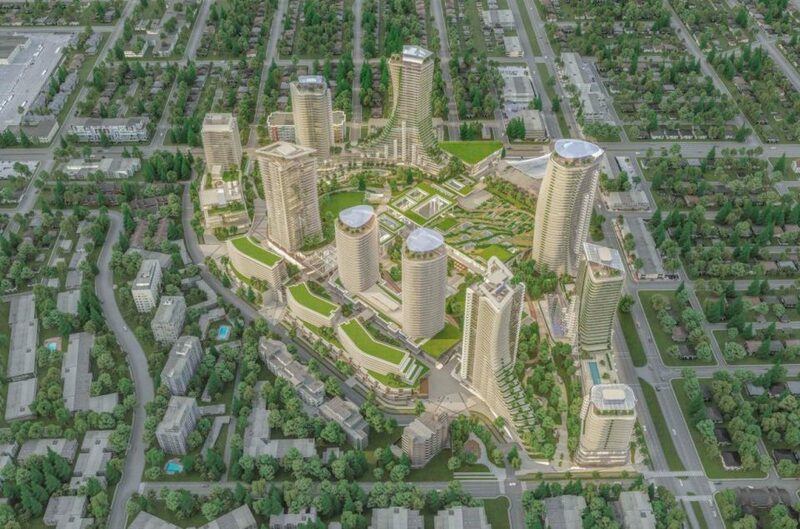 “Oakridge visitors will be citizens in a new organic micro-city connected to both downtown to the north and the airport to the south by rapid transit; inhabiting one of the most meaningful sustainable models of suburban mall redevelopments in the world,” reads the document. 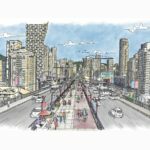 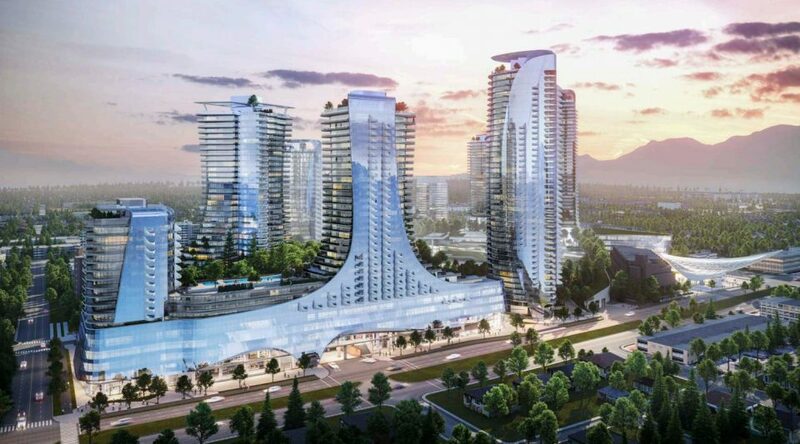 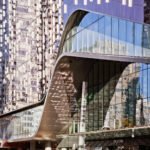 An open house on towers six and seven is planned for Thursday, March 7, 2019 at the Oakridge Presentation Centre (former Zellers space) at 650 West 41st Avenue, Vancouver.